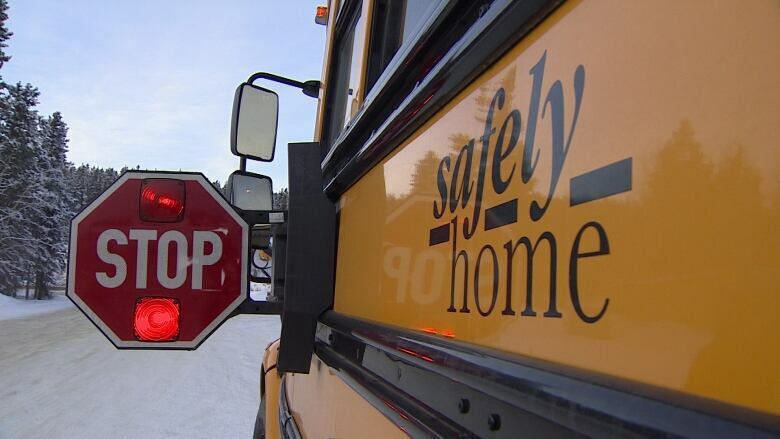 A Yukon mother is urging people to drive more safely, after some close calls involving her son's school bus. 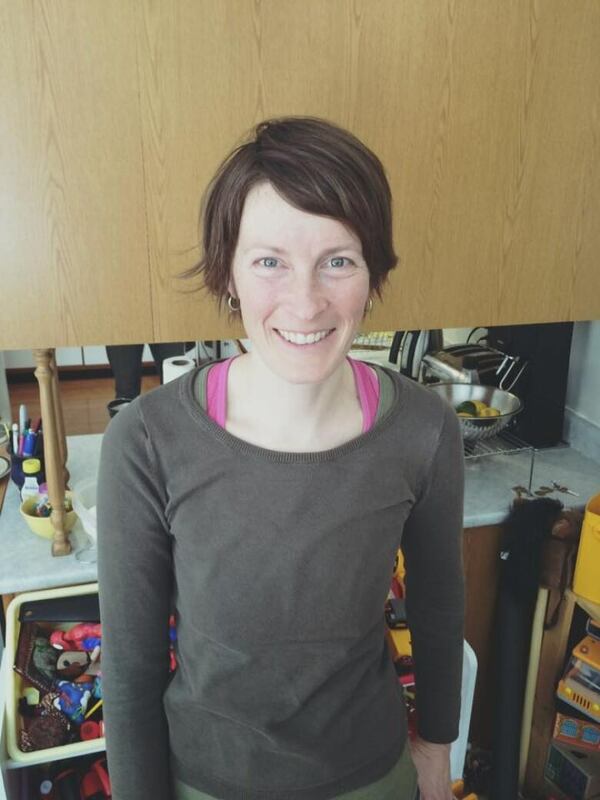 Katharine Sandiford, who lives south of Whitehorse on Marsh Lake, says people drive too fast on the Alaska Highway, and they're not paying attention to the road. She says there have been four incidents since September, involving the bus her son rides to Golden Horn school. Two close calls happened last week. "So Wednesday was when the semi clipped my son's bus," Sandiford said, referring to an incident last week when a truck driver was charged for failing to stop for a school bus. "And then on Friday, a boy was getting off the bus … just as he's about to step down off of the stairway, the bus driver says, 'get back in the seat' — because he sees a car not stopping, coming up behind." That car ended up passing the bus on the right hand side, Sandiford said. Sandiford says the school bus drivers "are fantastic," but she's concerned about other drivers. "I'm scared that another accident is going to happen, and I don't want the next accident to be the big one." Sandiford has talked to RCMP about her concerns. She wants to see more patrol cars on the highway during peak commute times. She's also talked to her MLA, John Streicker, about the possibility of amending traffic laws to increase fines. Ron Swizdaryk has also noticed an increase of incidents because of reckless driving on the highway. 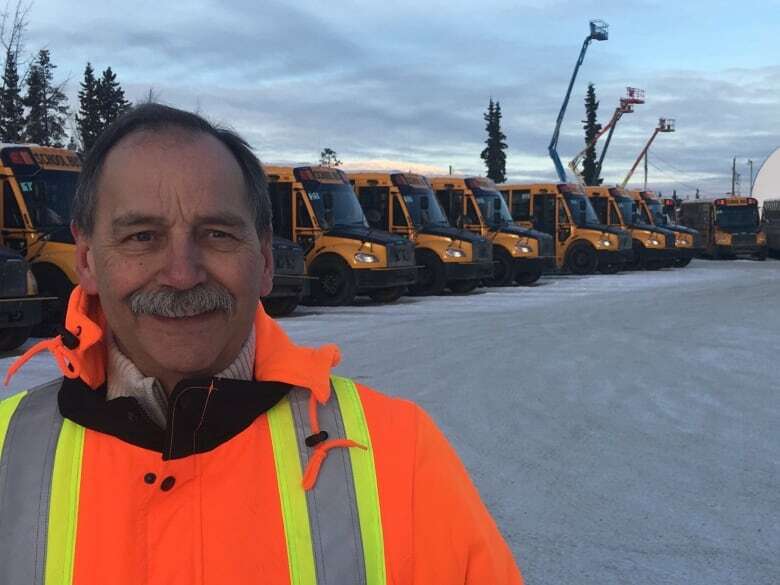 He's the director of Standard Bus Yukon, the company that has the busing contract from the Yukon Department of Education. He says too many people are just in a hurry. "Going through reds is one of the biggest things [that we report]," Swizdaryk said, referring to drivers buzzing past the stop sign and flashing red lights that go on when a school bus stops to pick up or drop off children. "It's just human nature not to want to follow a school bus or tractor trailer," he said. "You want to get in front." Swizdaryk shares Sandiford's fear, that there will eventually be a serious crash involving school children and his drivers. They've both noticed that more people seem to live out of town, and the roads are busier in the morning. Swizdaryk says his drivers write up reports for every dangerous incident that occurs, and send them to the RCMP. "And we work very close with [RCMP], trying to get people more aware of what's wrong here," he said. He's not sure whether the reports are likely to spur police to action. The RCMP told CBC that they are "planning additional enforcement in that area," but they declined to do an interview at this time, about what that means. Swizdaryk agrees that the best way to get people to slow down and pay attention on the roads, is to have more police on patrol during peak driving hours, and to hit people with big fines when their driving puts people's lives in danger.